A Boy Called Dickens by Deborah Hopkinson (40 pages). 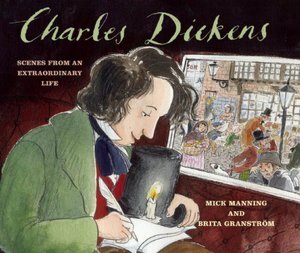 This illustrated story of 12-year-old Dickens making shoe polish to support his family hints that his observations will later bring characters to life in his stories; the story includes pictures of Victorian London. 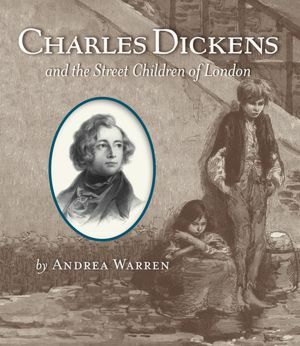 Charles Dickens and the Street Children of London by Andre Warren (156 pages). 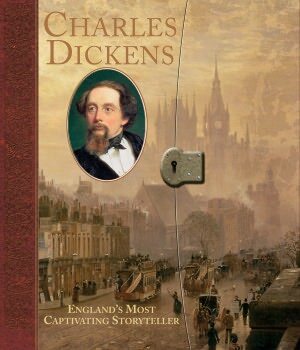 This young adult study focuses on the sad state of the working child, supposing that Dickens’s perceptions brought the issues to public attention; however, the author concentrates more on the welfare of poor children today than the life of the author – too long and off topic. This entry was posted in authors, biography, book review, books, children's books, children's literature, classics, essays, history, news article, reading and tagged A Boy Called Dickens, biography of Charles Dickens, Catherine Wells-Cole, Charles Dickens, Charles Dickens and the Street Children of London, Charles Dickens biography for children, Charles Dickens: An Extraordinary Life, Charles Dickens: England's Most Captivating Storyteller, children's books, Deborah Hopkinson, New York Times, the working child. Bookmark the permalink. I think I’d like to see that first book mentioned. My son has A Christmas Carol on audiobook – he loves listening to it and I think will enjoy Dickens, as he really likes books with protagonists he can ‘get into’ so to speak. Dickens and his drama will appeal – and this first book sounds like a good way to ‘set the scene’. It’s an easy way to learn about the author. 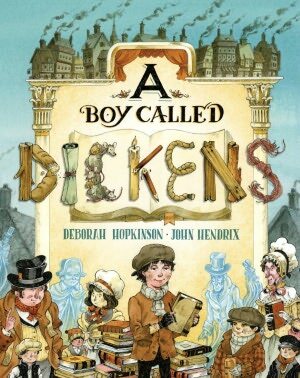 I just read an article quoting Claire Tomalin, one of Dickens’s biographers, that had her saying that children today are not reading much of Dicken’s work, yet he is still relevant.